This has been a fabulous year in which many partnerships have been strengthened and celebrated, a year in which we held up a vision of God taking delight in us and we in Him. Our focus was on the gift of life given in a garden, and of harmonious desires and delights in that place. Our hope is that student experiences over the year have reflected such a place of delight and wonder in their own learning. A school year always seems a long journey to students, but the times of fun and laughter, along with the seriousness and formality embedded in curriculum and co-curricular activities has seen their engagement in learning. Congratulations to students for their achievements and especially any personal bests this year. Indeed, we believe it has been another special year of outstanding achievement by our graduating Year 12 class. In a week of celebration and affirmation of our students, we have acknowledged the special contributions and friendships that have highlighted the year. I want to also highlight the enormous privilege of working with Mr Greg Barker, our Deputy Principal and Mrs Sharee Gaiser, our Head of Junior School, also Mr Ian Broadley as Head of International Programs and Mr Andrew Holland, our Business Manager. It is fitting to acknowledge their critical importance to the leadership of the College. I thank them unreservedly for their tireless work on behalf of our school. 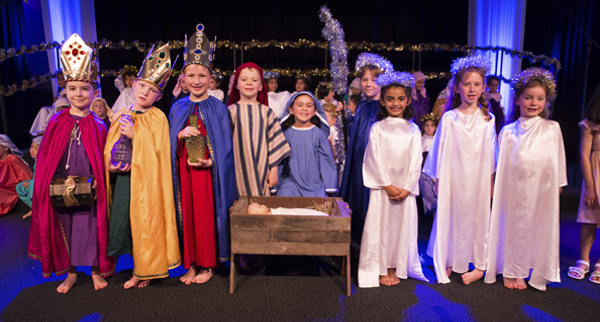 For many reasons, Christian schooling in Australia is at a crossroad. Political issues are likely to impact our College and we will move into unknown territory. Although we cannot know the future we do find courage in the now famous words of a long-past king to his people who were facing a very uncertain time. May the blessing of God’s peace be yours at the close of this year and the beginning of the New.